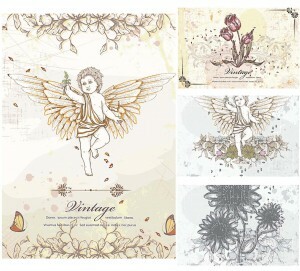 Set of 4 vectors with vintage elements, such as angels and flowers for your retro designed cards. Format: .eps for CorelDraw Adobe Illustrator, Photoshop or other vector software. 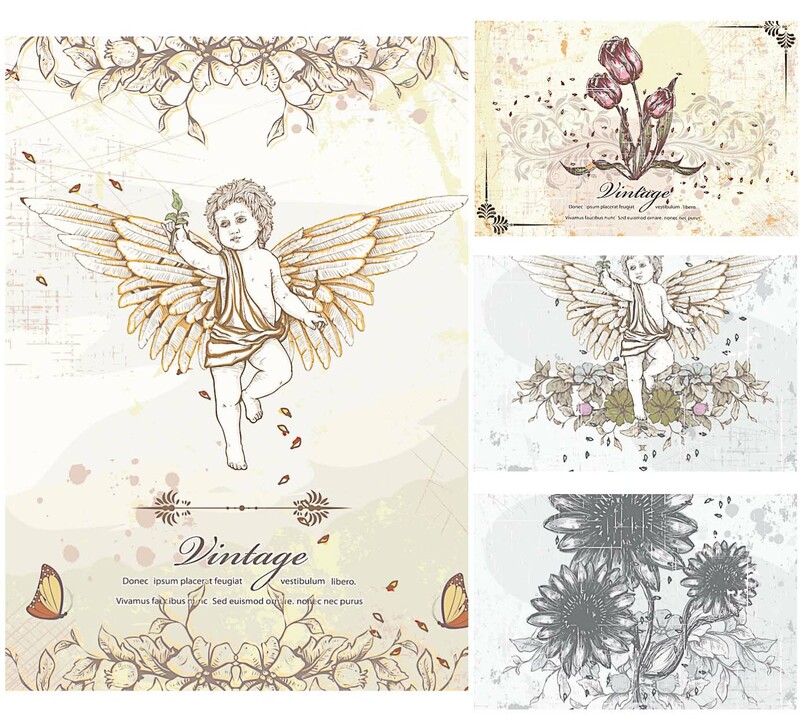 Tags: ancient, angels, card, flowers, pastel colors, vintage, wedding invitation.